Part No : 6NW 351 344-071. With Actuators from HELLA. More driving safety?. With our Radar solutions from HELLA no problem at all! Steering easily with HELLA Electrical Power Steering. The “feel-good” factor inside any vehicle: Interior lighting solutions from HELLA. Denso Spark Plugs. Denso Glow Plugs. 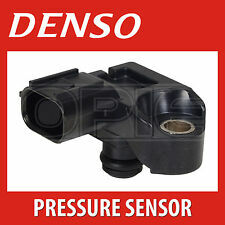 Denso Oxygen Sensors. The pressure switch (or pressure sensor) is a safety device which protects the refrigerant cycle components from a too high pressure or a too low pressure. 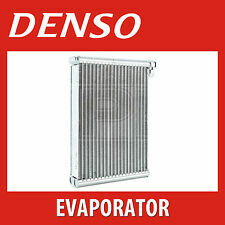 DENSO's expansion devices are critical components in the overall functionality of an air conditioning system. Using a full synthetic oil may help to reduce oil consumption if a mineral or semi-synthetic oil is being used. Part Number : 818981. The close fit between these products adds genuine value to driving and parking by allowing motorists to use new functions. In this way, Valeo makes the very latest drive and park assistance technology on the market much more accessible. The evaporator is the component of the air conditioning system where the refrigerant vaporises as it absorbs heat: the opposite of a condenser. The air conditioning blower then blows air across the evaporator and sends cold air through the dash duct work and into your vehicle. Part No : 6NW 351 344-431. With Actuators from HELLA. More driving safety?. With our Radar solutions from HELLA no problem at all! Steering easily with HELLA Electrical Power Steering. The “feel-good” factor inside any vehicle: Interior lighting solutions from HELLA. 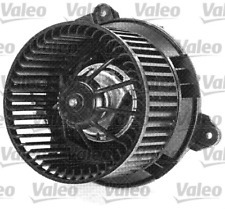 VALEO: 509507, CITROÃ‹N: 6447NQ, 6447-NQ, PEUGEOT: 6447NQ, 6447-NQ. 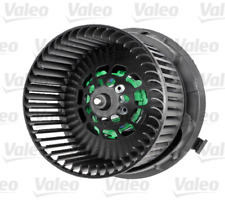 Search “Valeo mycarparts”. Any information in the compatibility table is for reference only and there may be unspecified choice options. Belt Tensioner Wheels & Bkts. Suspension Ball Joints. Rear Lights. Front Exhausts Cats. Estimates can be provided beforehand but prices may differ upon ordering. EE, CITROEN : 6455. 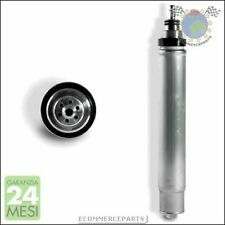 EF, CITROEN : 88450-0H010, CITROEN : 88450-0H020, PEUGEOT : 6455. Belt Tensioner Wheels & Bkts. Suspension Ball Joints. Rear Lights. Front Exhausts Cats. Chassis Break. Core Depth [mm]: 17. Estimates can be provided beforehand but prices may differ upon ordering. The compatibility is only a guide. Belt Tensioner Wheels & Bkts. Suspension Ball Joints. Rear Lights. Front Exhausts Cats. Core Depth [mm]: 16. Estimates can be provided beforehand but prices may differ upon ordering. The compatibility is only a guide. Belt Tensioner Wheels & Bkts. Suspension Ball Joints. Rear Lights. Front Exhausts Cats. Estimates can be provided beforehand but prices may differ upon ordering. CG, FIAT : 1340166080, FIAT : 6455. Search “Hella Online Catalogue”. Air Conditioning Expansion Valve. Equivalent Part Numbers: HELLA: 8UW 351 234-421 8UW351234-421, BEHR HELLA SERVICE: 8UW 351 234-421, CITROÃ‹N: 6461. N0, PEUGEOT: 6461. Produktgruppe: Heizung/Lüftung. Produkttyp: Widerstand, Innenraumgebläse. Die hier angezeigten Daten insbesondere die gesamte Datenbank dürfen nicht kopiert werden. Es ist zu unterlassen, die Daten oder die gesamte Datenbank ohne vorherige Zustimmung von TecDoc zu vervielfältigen, zu verbreiten und/oder diese Handlungen durch Dritte ausführen zu lassen. Belt Tensioner Wheels & Bkts. Suspension Ball Joints. Rear Lights. Front Exhausts Cats. CP, CITROEN : 6455. FX, CITROEN : 6455. GY, PEUGEOT : 6455. CP, PEUGEOT : 6455. Search “Hella Online Catalogue”. Air Conditioning Expansion Valve. 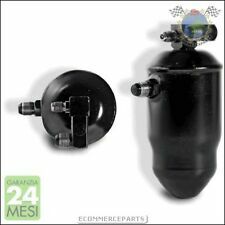 Equivalent Part Numbers: HELLA: 8UW 351 234-461 8UW351234-461, BEHR HELLA SERVICE: 8UW 351 234-461, CITROÃ‹N: 6461. N2, PEUGEOT: 6461. Part No : 6NW 351 344-401. With Actuators from HELLA. More driving safety?. With our Radar solutions from HELLA no problem at all! Steering easily with HELLA Electrical Power Steering. The “feel-good” factor inside any vehicle: Interior lighting solutions from HELLA. Warranty Information. We apologise in advance for any inconvenience caused. The Important Bit. HELLA Widerstand, Innenraumgebläse. 9ML 351 332-241. Unter Umständen sind noch Fahrzeugdetails, wie bspw. weitere Fahrzeugabgrenzungen nötig zu beachten. Fahrzeugausstattung: für Fahrzeuge mit Klimaanlage. Part No : 6NW 351 344-461. With Actuators from HELLA. More driving safety?. With our Radar solutions from HELLA no problem at all! Steering easily with HELLA Electrical Power Steering. The “feel-good” factor inside any vehicle: Interior lighting solutions from HELLA. HELLA Widerstand, Innenraumgebläse BEHR HELLA SERVICE PREMIUM LINE . 9ML 351 321-581. Unter Umständen sind noch Fahrzeugdetails, wie bspw. weitere Fahrzeugabgrenzungen nötig zu beachten. Fahrzeugausstattung: für Fahrzeuge mit Klimaanlage. CITROËN 6441. 1 INNENRAUMGEBLÄSE. Die hier angezeigten Daten, insbesondere die gesamte Datenbank, dürfen nicht kopiert werden. Es ist zu unterlassen, die Daten oder die gesamte Datenbank ohne vorherige Zustimmung TecDocs zu vervielfältigen, zu verbreiten und/oder diese Handlungen durch Dritte ausführen zu lassen. Belt Tensioner Wheels & Bkts. Suspension Ball Joints. Rear Lights. Front Exhausts Cats. Chassis Break. Core Depth [mm]: 16. Estimates can be provided beforehand but prices may differ upon ordering. The compatibility is only a guide. Engine Code: ADZ,ABS,ACC | Chassis no. to: 1L-ZD308 450. Engine Code: RP | Chassis no. Seat Toledo (1L) 1.8i Petrol (1991-1996). Engine Code: PL | Chassis no. Seat Toledo (1L) 1.8 16V Petrol (1991-1999). Search “Hella Online Catalogue”. 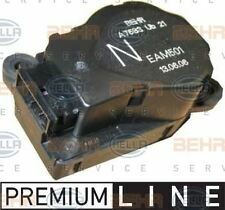 Equivalent Part Numbers: HELLA: 6NW 351 344-071 6NW351344-071, BEHR HELLA SERVICE: 6NW 351 344-071, CITROÃ‹N: 6447. QN, PEUGEOT: 6447. Engine Code: NFU (TU5JP4) | Org. Search “Hella Online Catalogue”. 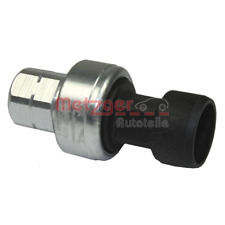 Equivalent Part Numbers: HELLA: 6NW 351 344-411 6NW351344-411, BEHR HELLA SERVICE: 6NW 351 344-411, CITROÃ‹N: 6447. Engine Code: HFX (TU1JP). Engine Code: KFU (ET3J4). EC, CITROEN : 6455. AS, CITROEN : 6455. EC, PEUGEOT : 6455. AS, PEUGEOT : 6455. Belt Tensioner Wheels & Bkts. Suspension Ball Joints. Rear Lights. Front Exhausts Cats. LANCIA ZETA (220) 2.1 TD (220AJ5) 80 05.1996 - 09.1999. LANCIA ZETA (220) 2.0 JTD (220AN5) 80 09.1999 - 09.2002. LANCIA ZETA (220) 2.0 JTD 80 04.2000 - 09.2002. LANCIA ZETA (220) 2.0 16V (220AQ5) 100 07.2000 - 09.2002. Belt Tensioner Wheels & Bkts. Suspension Ball Joints. Rear Lights. Front Exhausts Cats. Estimates can be provided beforehand but prices may differ upon ordering. EC, CITROEN : 6455. AS, CITROEN : 6455. MAINLAND -24 HRS. (incl: NORWAY & SWITZERLAND). Equivalent Part Numbers: HELLA: 9GS 351 337-701 9GS351337-701, BEHR HELLA SERVICE: 9GS 351 337-701, CITROÃ‹N: 6460. F0, VEMO: V22-20-0018. Search “Hella Online Catalogue”. Air Conditioning High Low Pressure Line. Produkttyp: Druckschalter, Klimaanlage. Produktgruppe: Klimaanlage. Druckschalter Citroen/ Peugeot Xsara Picasso/ 406 1995-2001. dienen nur zu Vergleichszwecken und sind keine Herkunftsbezeichnungen. EXPANSION VALVE, THROTTLE NOZZLE. AIR CONDITIONING DELPHI TSP0585067. Part Manufacturer:DELPHI TSP0585067. Expansion valve, choke nozzle. CITROËN XSARA Break (N2) ESTATE 1.6 I 88 HP NFZ (TU5JP) 1997.10-2000.09. Belt Tensioner Wheels & Bkts. Suspension Ball Joints. Rear Lights. Front Exhausts Cats. Core Depth [mm]: 19. Estimates can be provided beforehand but prices may differ upon ordering. The compatibility is only a guide. Equivalent Part Numbers: HELLA: 9GS 351 338-721 9GS351338-721, BEHR HELLA SERVICE: 9GS 351 338-721, CITROÃ‹N: 6477. GJ, PEUGEOT: 6477. Search “Hella Online Catalogue”. Air Conditioning High Pressure Line. EQ, CITROEN : 6455. EQ, PEUGEOT : 16.238.161.80, PEUGEOT : 6455. EQ, PEUGEOT : 6455. Belt Tensioner Wheels & Bkts. Suspension Ball Joints. Rear Lights. Front Exhausts Cats. Core Depth [mm]: 16. EN, CITROEN : 6455. EN, PEUGEOT : 6455. Belt Tensioner Wheels & Bkts. Suspension Ball Joints. Rear Lights. Front Exhausts Cats. Core Depth [mm]: 16. Estimates can be provided beforehand but prices may differ upon ordering.